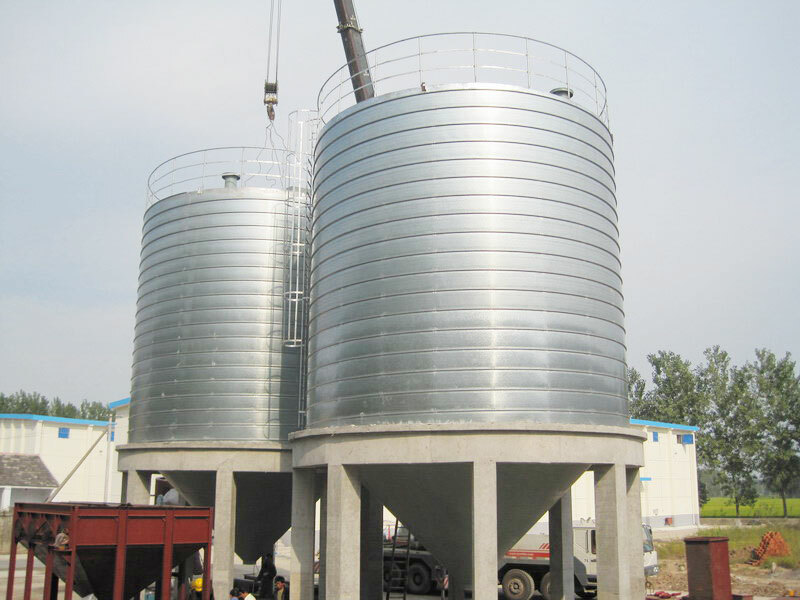 Through 6 months discussion with customer, we revises cement storage solution and silo storage design many times according customer’s suggestion and visit the local site several time. Finally, we reach the agreement on the 5000 ton cement storage and choose spiral steel silo to store this industrial powder. Silo material:silo raw material is 23 hot, double galvanized steel plate, zic coat thickness 275g/m2, steel plate thickness is 2mm-4mm.